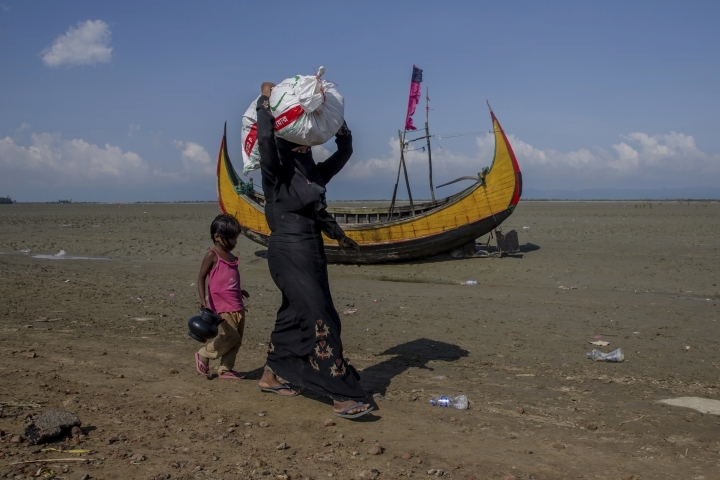 COX'S BAZAR, Bangladesh — Bangladeshi authorities summoned Myanmar's envoy to protest what they said were violations of their airspace as the number of Rohingya Muslims fleeing violence in western Myanmar in the past three weeks reached more than 400,000. Myanmar's presidential spokesman on Saturday said there's no evidence of any trespassing and that Dhaka should have reached out to discuss its concerns instead of issuing public statements. The Bangladesh Ministry of Foreign Affairs said Friday that Myanmar drones and helicopters flew into Bangladeshi airspace on Sunday, Tuesday and Thursday. It said a protest note was handed to Myanmar's envoy Friday evening. Bangladesh warned that the "provocative acts" could lead to consequences. In Yangon, presidential spokesman Zaw Htay said that while Myanmar's military denied crossing into Bangladesh's airspace, the matter was being investigated. "We don't know exactly if they released that statement for political reasons," he said of Bangladesh's protest. He added that Myanmar was "transporting rations for displaced people for emergency assistance" to areas close to the border and that Bangladesh "needs to understand that as well." United Nations agencies say an estimated 409,000 Rohingya Muslims have fled to Bangladesh since Aug. 25, when deadly attacks by a Rohingya insurgent group on police posts prompted Myanmar's military to launch "clearance operations" in Rakhine state. 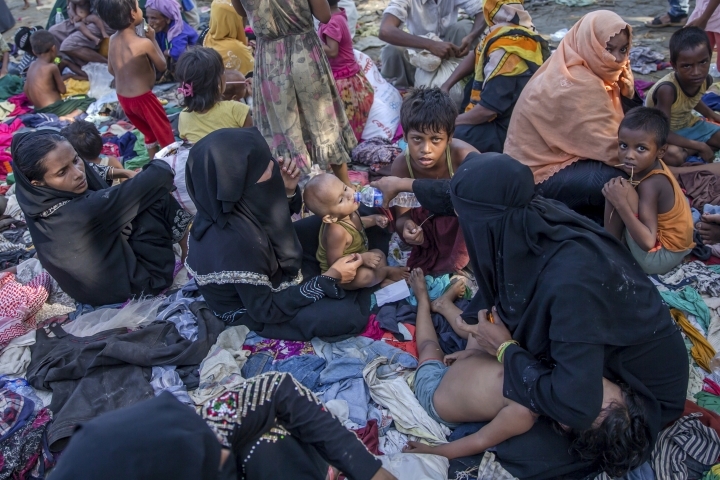 Those fleeing have described indiscriminate attacks by security forces and Buddhist mobs. The Myanmar government says hundreds have died, mostly Rohingya "terrorists," and that 176 out of 471 Rohingya villages have been abandoned. Myanmar has insisted that Rohingya insurgents and fleeing villagers themselves are destroying their villages. It has offered no proof to back these charges. 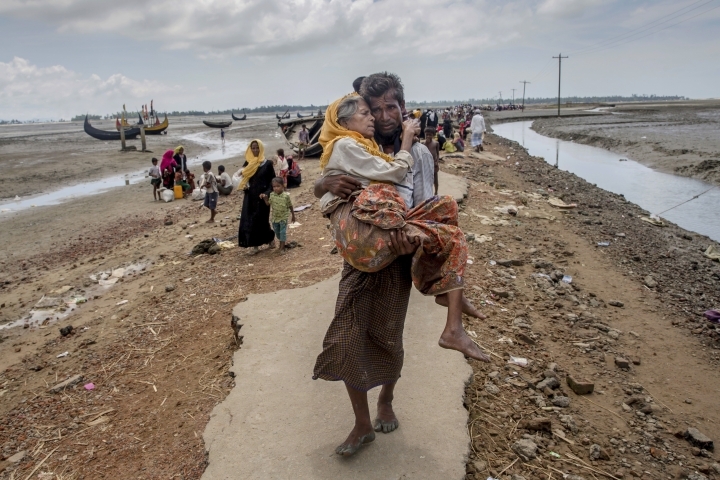 The U.N. has described the violence against the Rohingya in Myanmar as ethnic cleansing — a term that describes an organized effort to rid an area of an ethnic group by displacement, deportation or killing. Ethnic Rohingya have faced persecution and discrimination in majority-Buddhist Myanmar for decades and are denied citizenship, even though many families have lived there for generations. The government says there is no such ethnicity as Rohingya and say they are Bengalis who illegally migrated to Myanmar from Bangladesh. Rights groups like Amnesty International and Human Rights watch have said that they have evidence that Myanmar troops were systematically targeting and setting Rohingya villages on fire over the last three weeks. 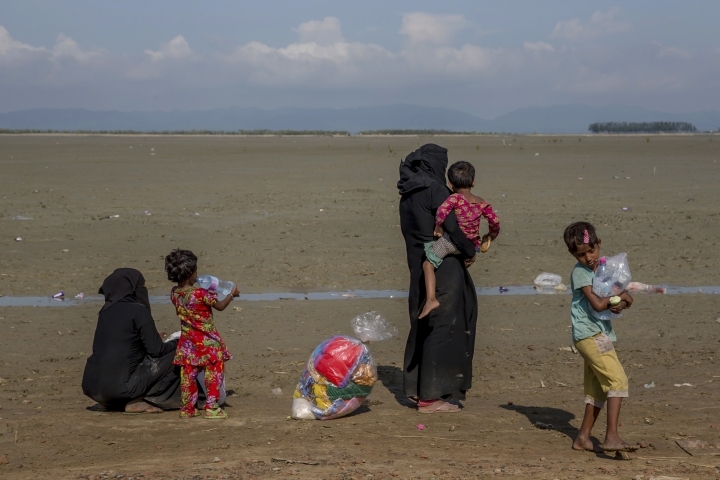 As hundreds of thousands of Rohingya have crossed into Bangladesh, relief camps are overflowing and food, medicine and drinking water have been in short supply. Mohammed Shahriar Alam, Bangladesh's junior foreign minister, said Saturday that India, Turkey, Morocco, Indonesia, Iran and Malaysia have already sent relief and the goods are waiting in an airport in nearby Chittagong. He said more aid was also expected to come via ships soon. 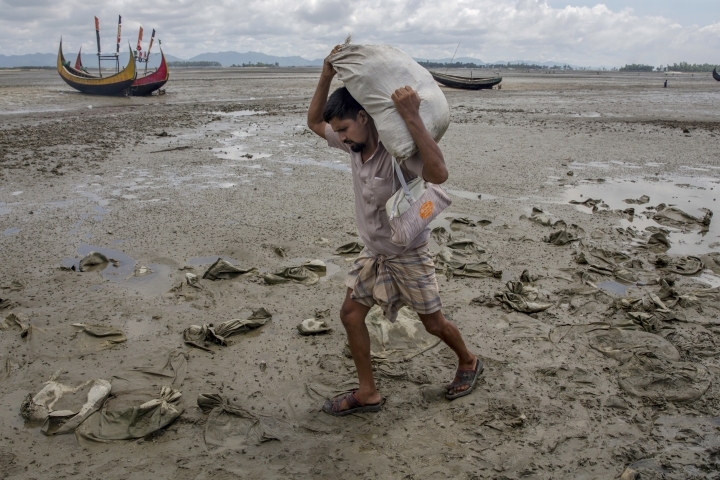 "The United Nations and many other private organizations are working there to support hundreds of thousands who are in dire need of assistance," said Khaled Mahmud, a top official in Cox's Bazar. He acknowledged that aid distribution remained haphazard three weeks into the crisis. "Our work must be very organized and systematic," he said. "We are working on that."